Obviously I know that technically the day is reserved to celebrate the openness and acceptance for the LGBT community, although to me the day represented so much more. I was with a brilliant mix of people, gay, straight and bi, each there for their own reasons. 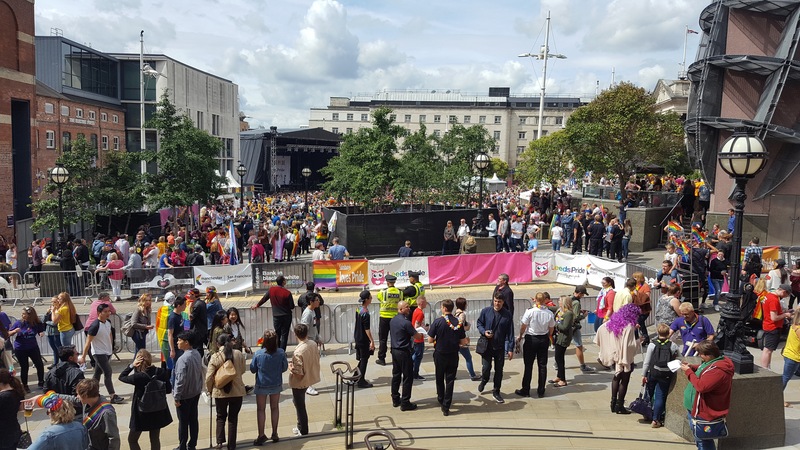 Whether it was to show support for loved ones, join together in solidarity with fellow LGBT’s or to just enjoy the festivities, it was a great day. It really was a time to be proud, proud of the people, the way acceptance has shifted and proud of the spirit of an entire community celebrating together. Every person there felt free and proud to be who they want to be, to be who they are and if it is only at events such as this that they feel comfortable enough to express their true selves then I am thankful for such things existing. I only hope that one day everyone can happily walk down the street safely, being who they want to be and loving who they want to love. You think that’s gay? Check this out, Saskatoon! !